Nurses hat / cap made from 14 pt. high density white paper board is liquid laminated for a high gloss finish; with elastic band. Ideal for schools, health fairs, nursing schools, career days, doctor's offices, clinics, hospitals, medical care facility, parties, job fairs, graduation parties, professional schools, children etc. 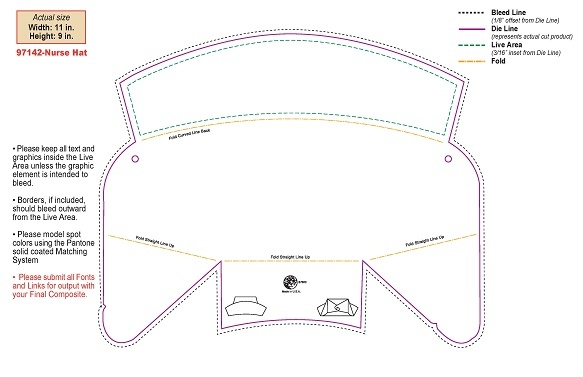 Note: Price includes one color imprint - one side. Set Up: $35.00 per color, per side. 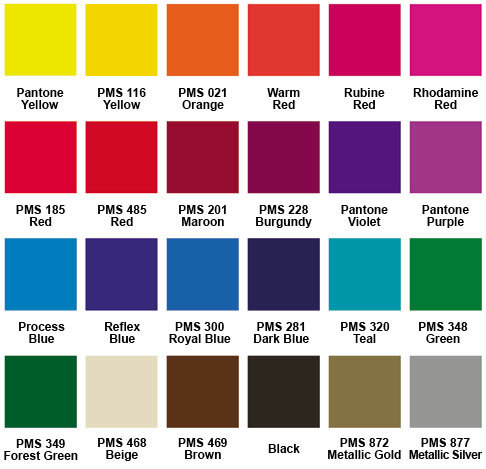 PMS Color Match - $20.00 per color for custom colors other than our standard colors. 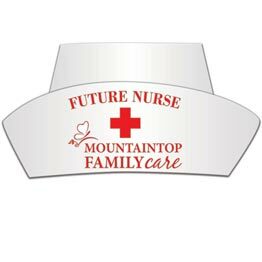 Printed promotional nurses hats promote good will at cheap prices. Makes coming to the doctors clinic a positive experience.